Anyone can nominate a teacher! Please consider nominating a deserving teacher today at oregonteacheroftheyear.org. 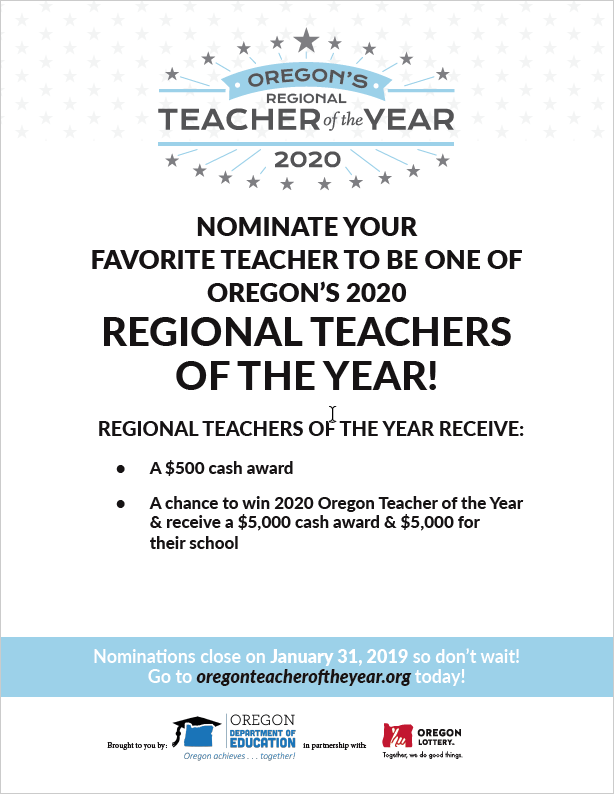 Who knows, the teacher you nominate just may be selected as the Southern Oregon Regional Teacher of the Year and be in the running for the honor of 2020 Oregon Teacher of the Year!